My Employer Defamed Me to the Government! Not So Fast, Says the Texas Supreme Court. In Texas, a person cannot be sued for defamation for statements made in judicial or legislative proceedings. However, the rule has not been so clear with respect to statements made before such proceedings begin, such as those made during an internal investigation of employee misconduct by employer. Last week, the Texas Supreme Court in Shell Oil Co., et al. v. Writt held that a company’s statements made during an internal investigation while a company itself is under investigation are absolutely privileged against defamation, i.e. what a company says about an employee in that situation cannot serve as grounds for defamation. In this case, the Department of Justice (DOJ) approached Shell about their investigation of one of the company’s subcontractors for violation of the Foreign Corrupt Practices Act (FCPA). 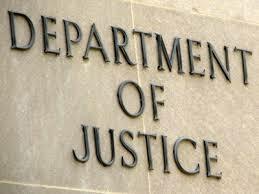 The DOJ suspected that the subcontractor was paying bribes to local officials in violation of the FCPA. Understanding that Shell could face similar charges if its employees knew about the subcontractor’s violations, Shell cooperated with the DOJ and conducted an 18-month long internal investigation into its employees. As a result, it provided the DOJ with a report that stated that one employee was aware of “several red flags” concerning the subcontractor’s activities. In addition to providing the report to the DOJ, Shell terminated the employee, stating in the termination letter that the employee’s conduct was a “significant, substantial and unacceptable” violation of the company’s General Business Principles and Code of Conduct. The employee sued Shell for defamation and wrongful termination based on the statements in the company’s report provided to the DOJ, claiming that the company falsely accused him of approving bribery payments and participating in illegal conduct. Shell sought a summary judgment on the grounds of absolute privilege, and while the motion was pending, the DOJ charged Shell with violations of the FCPA. It then entered into a deferred prosecution agreement because of the company’s cooperation in the investigation. The trial court granted Shell’s summary judgment motion, but was reversed by the court of appeals, to be later reversed by the Texas Supreme Court. As the Supreme Court explained – in Texas, any statements made during judicial or legislative proceedings are protected from a claim of defamation. Additionally, statements that are made preliminary to a proposed judicial proceeding or as part of a judicial proceeding in which a person is testifying, are also immune from defamation claims if they have some relation to the proceeding. Thus, statements made before a judicial proceeding has been initiated will still be privileged from defamation as long as: (1) the statements relate to the contemplated proceeding and (2) the party making the statements in good faith believes that it will be a party to the proceeding once it is initiated. In this case, because the DOJ told Shell that it was investigating its employee and Shell, Shell’s report was given to the DOJ as part of the ongoing DOJ investigation, Shell compiled and provided the report under serious and good faith contemplation of a judicial proceeding – the statements in the report were privileged from defamation, and the employee’s claim against the company arising out of such statements failed. The result would have been different if Shell had provided the report voluntarily, without the threat of prosecution from the DOJ. TAKEAWAYS: Under Shell Co. ruling, if a company’s internal investigation is conducted under a threat of being involved in litigation, any statements about third parties that are related to such potential litigation and are made during the investigation are likely to be protected from defamation claims. However, a company that voluntarily provides information to a government agency without a threat of prosecution might not have that protection. This case is a great example of how complicated defamation law can be in Texas. Contrary to the media’s portrayal of defamation lawsuits, very few of those cases are straightforward, as that area of law is full of nuances, privileges, and defenses. When in doubt, an employer should consult with an attorney before making any statements about a former (or current) employee to third parties, including government agencies. Leiza Dolghih practices business and employment litigation and often advises employers on how to prevent or minimize the risk of litigation before it occurs. For more information, contact Ms. Dolghih for a confidential consultation at Leiza.Dolghih@lewisbrisbois.com or (214) 722-7108. Providing Reference for a Former Employee – What Can an Employer Say in Texas? 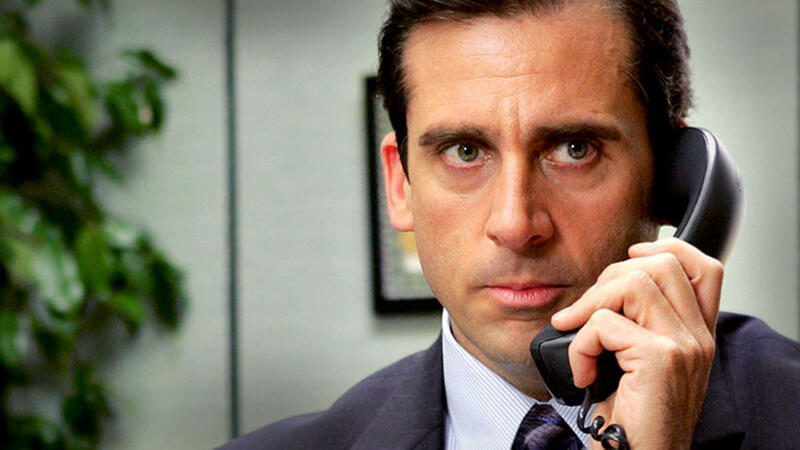 Most employers at some point get a call asking for a reference for one of their former employees. For good employees such call is not a problem, but for those who were fired or let go due to performance issues, violations of a company policy, or commission of a crime – the employer often faces a choice of not saying anything so as to avoid a defamation claim by the former employee or warning the potential employer of the former employee’s prior history. So, how much exactly can a former employer disclose to a potential employer without facing a defamation lawsuit from the employee? From a legal stand point, in Texas, truth is an absolute defense to defamation. Thus, if what you are telling the new employer is true, then it cannot be defamation. From a practical standpoint, however, you should consider how easily could you prove that what you were saying about the employee was true. For example, if you decide to tell the new employer that you fired John Doe because he stole company property – if John Doe filed a suit against you, could you prove it in court that he did so? The answer is rarely a resounding “yes.” More likely, if push came to shove, it would be the former employer’s word against the employee’s. Thus, even telling the truth about a former employee, may result in a lawsuit (and thousands in attorney’s fees) unless the employer has some proof that its statements were true. Texas also recognizes that statements by a former employer to a prospective employer are “privileged” (or protected from a defamation claim), unless an employer made such statements with “actual malice.” Actual malice has nothing to do with bad motive or ill will, but requires proof that the former employer made the statement either knowing that it was false or with reckless disregard of the truth of falsity of the statement. Some courts have labeled it as “calculated falsehood.” Failure to investigate facts before speaking is not proof of actual malice. However, making a statement while entertaining “serious doubt” as to its truth could constitute actual malice. Conclusion: Employers should be careful when they provide references to their former employees. While a former employer’s statements to a prospective employer are generally privileged (i.e. protected from defamation), if the former employer made false statements that caused an employee to lose his job or offer of a job, s/he might face some serious liability. On the employee side, unless the employee has at least some proof that his or her former employer made false statements about the employee or had serious doubts about the truth of such statement, the employee bringing a defamation claim might have to pay the former employer’s attorney’s fees in defending against the lawsuit under the Texas Citizens Participation Act (TCPA), as I have previously explained here and here. In 2011, the Texas legislature passed the Texas Citizens Participation Act (TCPA), meant to curtail the Strategic Lawsuits Against Public Participation (SLAPP) often filed by businesses or other moneyed interests in retaliation for negative comments or complaints made by regular citizens. The goal of SLAPP lawsuits is not necessarily to win, but to force the defendants to withdraw their statements and to silence them under the threat of costly litigation. The TCPA protects Texans’ right to free speech by allowing defendants sued for defamation, business disparagement, or other speech-related torts to quickly dismiss lawsuits before the costly discovery begins and automatically recover legal fees if they succeed. By passing the TCPA, Texas joined 27 other states that have similar statutes. Last week, the First Court of Appeals applied the TCPA to dismiss a lawsuit brought by an assisted living facility against a newspaper that published a number of articles discussing regulatory compliance problems and government investigations into the facility. Newspaper Holdings, Inc. et al. v. Crazy Hotel Assisted Living, Ltd., et al., provides a great example of when and how the TCPA applies. See also Better Business Bureau of Metropolitan Dallas, Inc. v. Ward and Better Business Bureau of Metropolitan Dallas, Inc. v. BH DFW, Inc. discussing how negative ratings of businesses are protected by the TCPA. In this case, the defendant newspaper published a number of articles about problems encountered at Crazy Hotel assisted living facility and the ensuing government investigations of such problems. Crazy Hotel filed a lawsuit for defamation, business disparagement and tortious interference against the newspaper and its source. The defendants filed a motion to dismiss the lawsuit, invoking their free speech rights under the TCPA. The trial court denied the motion to dismiss, but the First Court of Appeals reversed and remanded the case for dismissal. The Court of Appeals explained that the purpose of the TCPA is to “encourage and safeguard the constitutional rights of persons to petition, speak freely, associate freely, and otherwise participate in government to the maximum extent permitted by law and, at the same time, protect the rights of persons to file meritorious lawsuits for demonstrable injury” and the TCPA was to be construed liberally to effectuate its purpose and intent fully. §§27.002, 011(b). In order to dismiss the lawsuit under the TCPA, the court must find that (1) the defendant has established by preponderance of evidence that the legal action is based on, related to, or is in response to the defendant’s exercise of the right of free speech, the right to petition, or the right of association; AND (2) the plaintiff has failed to show by clear and specific evidence a prima facie case for each essential element of its cause of action(s). TCPA §27.005(b), (c). The TCPA defines “the exercise of the right of free speech” as “a communication made in connection with a matter of public concern,” which includes, among other things, issues related to “health and safety,” and “environmental, economic, or community well-being.” TCPA §27.001(7) (A), (B). Here, because the newspaper articles that gave grounds to the lawsuit related directly to Crazy Hotel’s obligations to fulfill the licensing requirements and standards applicable to the assisted living facilities under the Texas Health & Safety Code, the Court of Appeals found that they related to a matter of public concern. The Court of Appeals also found that Crazy Hotel failed to introduce clear and specific evidence that any of the statements made in the newspaper articles were false or that the newspaper was negligent in making such statements, thus failing to show prima facie evidence in support of its claims. Crazy Hotel argued that the TCPA did not apply to the statement made by the newspaper because it was a commercial and not non-profit organization and because the statements constituted commercial speech not protected by the TCPA. TCPA §27.001(b). The Court of Appeals, however, found that because the articles did not “arise out of the sale of lease” of newspapers, the commercial speech exemption did not apply, and to interpret the statute otherwise would defeat the purpose of the TCPA. If you are facing a defamation, business disparagement, or tortious interference lawsuit, or if you are considering filing one, make sure you consider how the TCPA will affect the claims. As a general rule, any statements regarding matters of public concern are likely to be protected under the TCPA. On the other hand, statements made in connection with the sale or lease of goods, services, or an insurance product or a commercial transaction intended for potential buyers or customers are not protected. A claim that the TCPA applies will necessarily lead to compliance with strict procedural requirements set out by the statute.